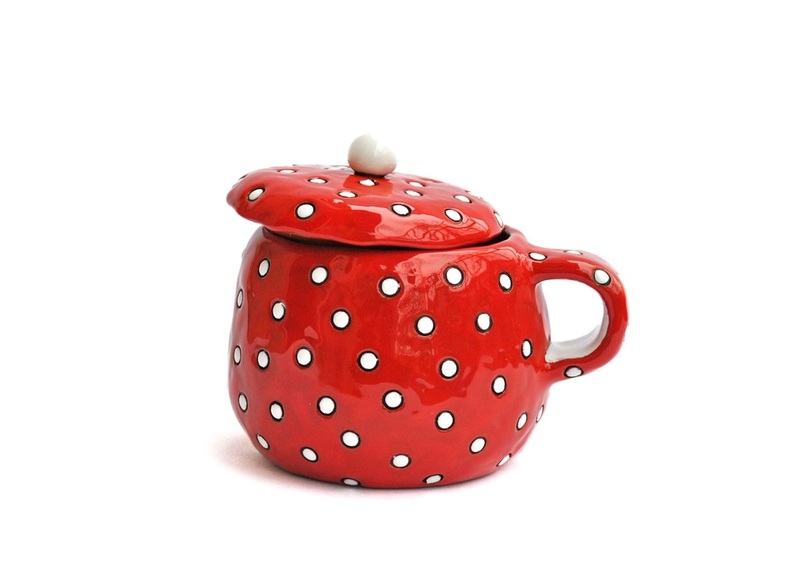 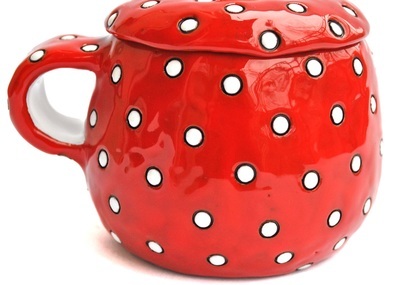 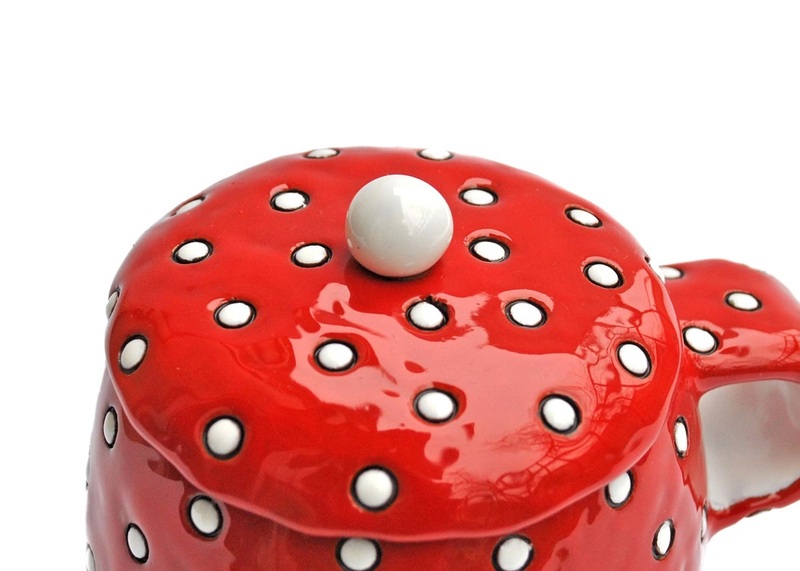 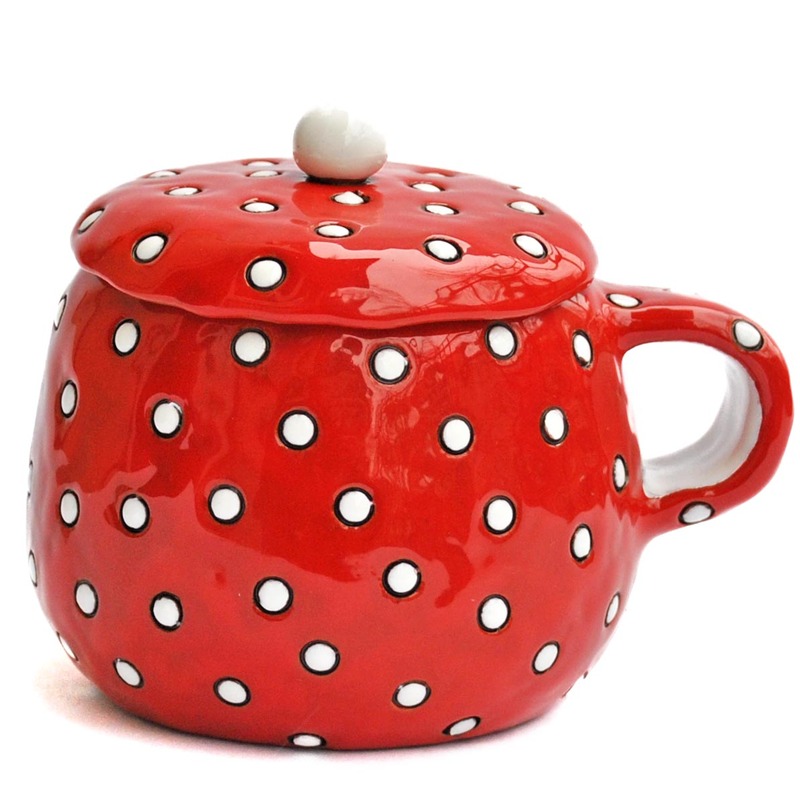 This eye-catching cup is carefully glazed in a timeless classical red and white polka dot pattern. 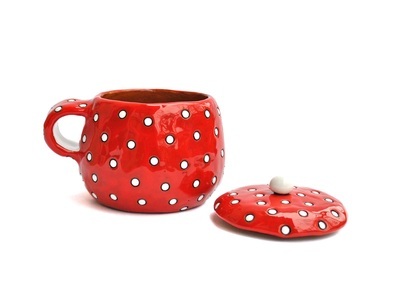 The cup has a lid with a round white handle, its round shape makes it cozy to hold. 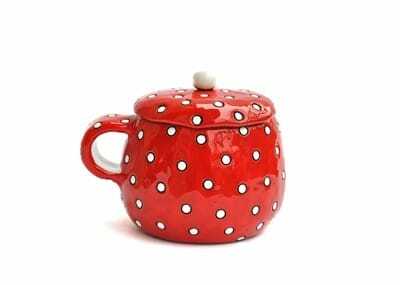 Quite a pop of colour for your kitchen shelf with a special power of brightening the murkiest of weathers outside the window. The cup stands approximately 9 cm (3.5 in) tall.